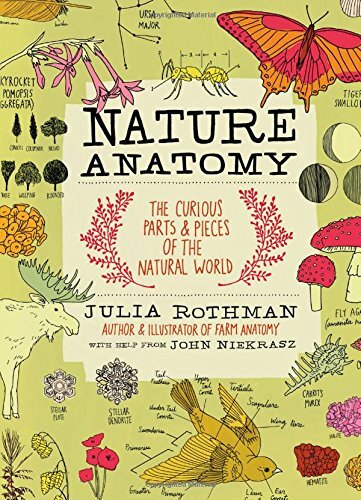 Explore the life cycles of animals, plants, insects and more with these fun, hands-on activities! 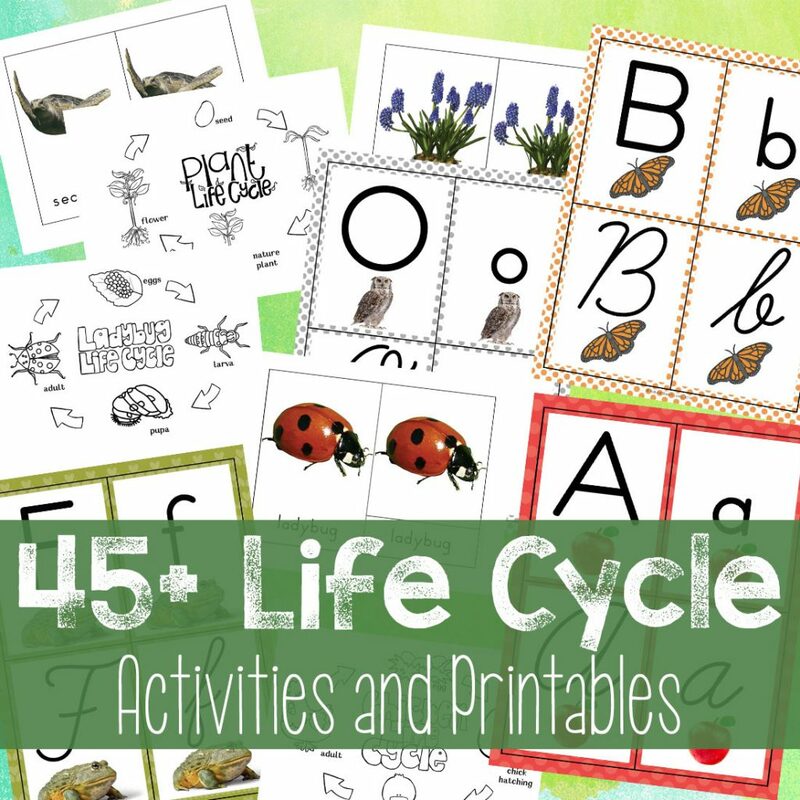 These Life Cycle Activities and Printables share the stages of development and give you engaging activities to provide fun hands-on learning for each life cycle. 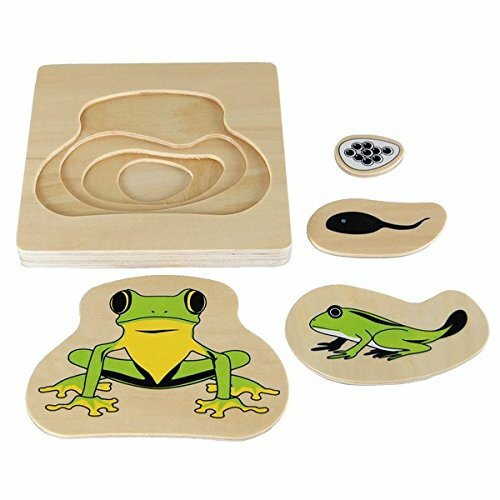 These Montessori life cycle activities are excellent for any home or classroom. 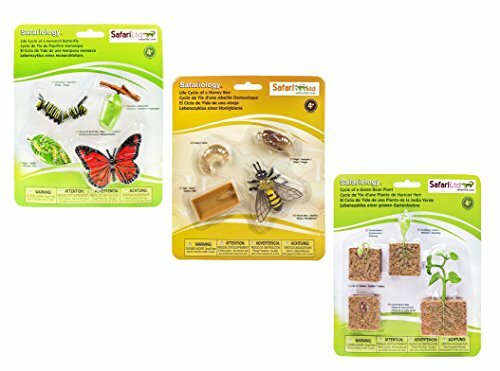 Your children will love working with these life cycle coloring pages, writing prompts, 3 part cards and more. 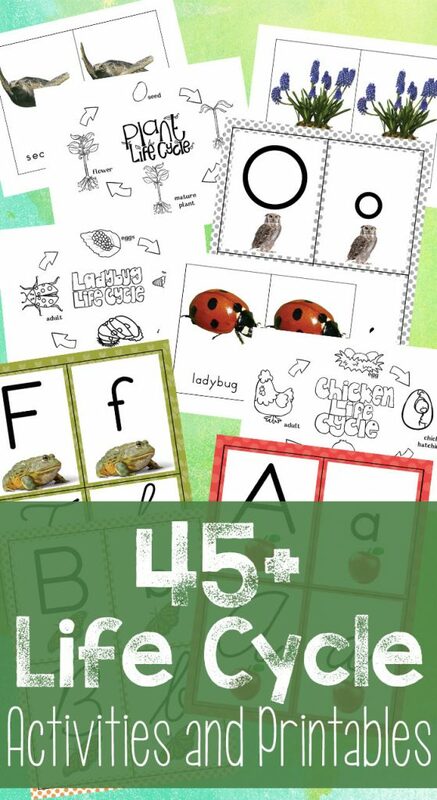 So today we’re sharing an amazing printable pack to explore a variety of life cycles with hands-on activities! 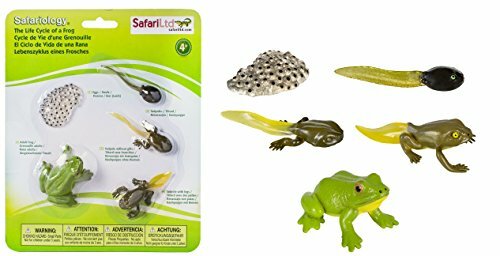 These are some of our favorite lifecycle activities and lessons to engage your children and make learning fun. 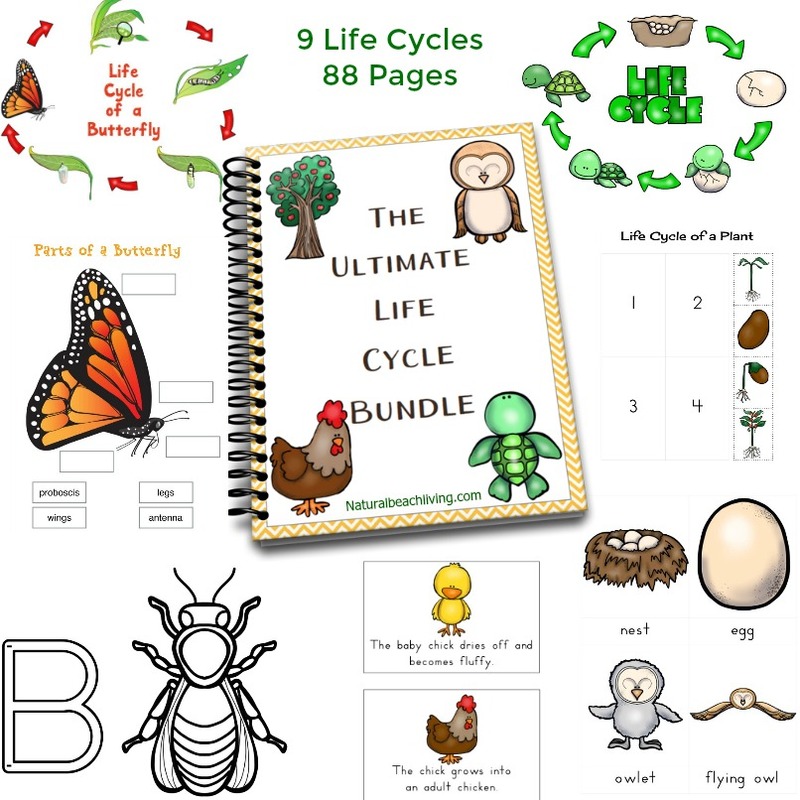 Pair this set with The Ultimate Bundle of Life Cycle Printables, and you’ll have a full year worth of life cycle ideas and activities to use with your children during different seasons. 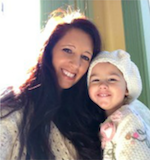 Kids love to explore how things work, providing them with lovely real life pictures and a variety of ways to learn will keep their interest and curiosity going. 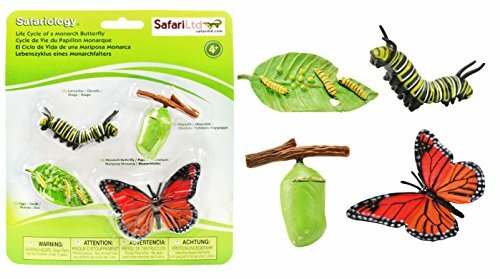 You and your children will enjoy exploring the world of plants, animals, and insects with this lovely hands-on learning mini science unit. 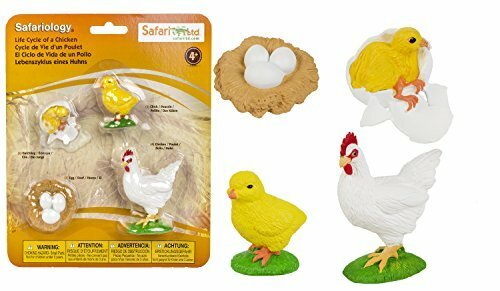 It’s perfect for kids preschool age through the early elementary years. 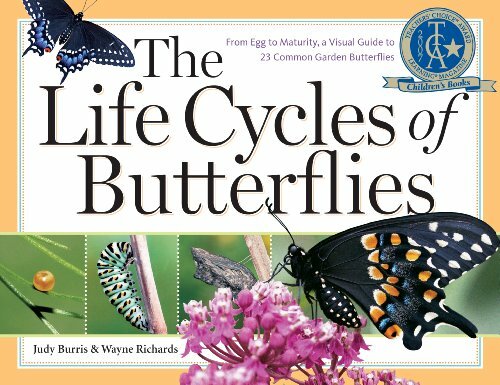 45 Pages of hands-on activities for a variety of different Life Cycles. 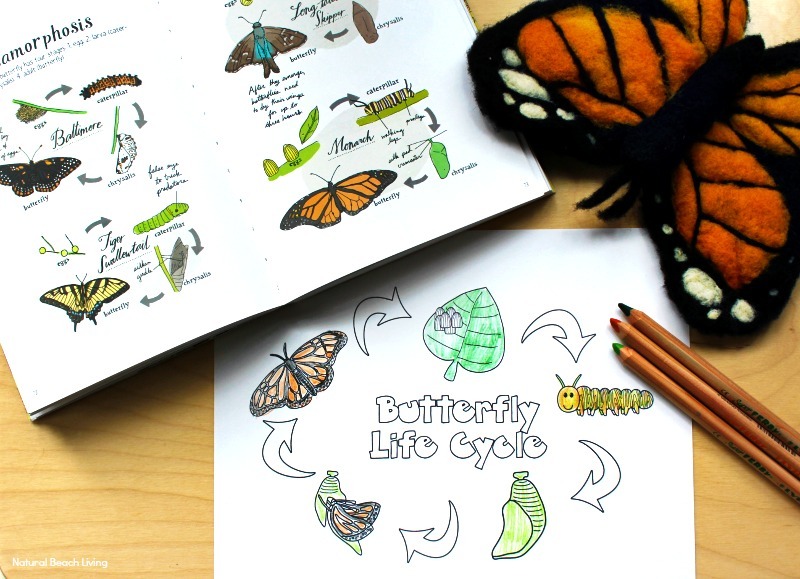 A Life Cycle Coloring Page for each lifecycle. 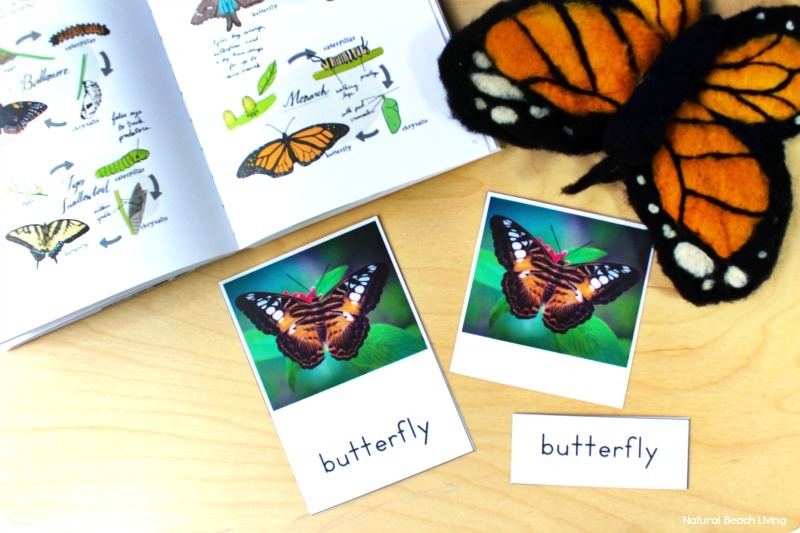 Your child can use the Writing Prompts in the printable pack to write their own stories while you work through the different lifecycles. 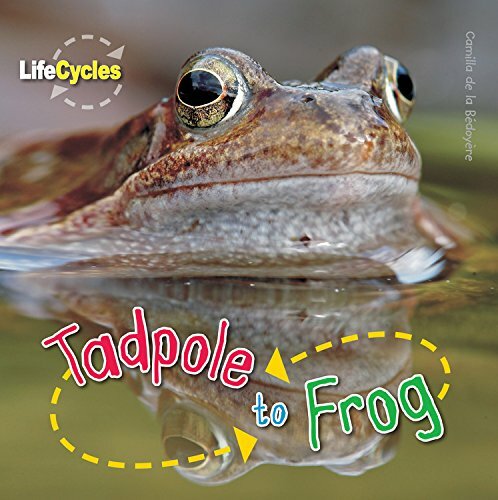 You can use the cover page of this pack to make a perfect cover for your child’s lifecycle journal (using the writing prompts). 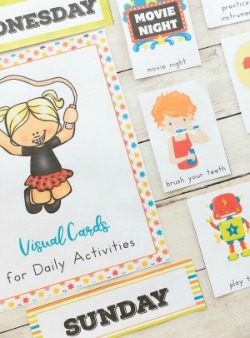 You will also get a lovely large set of 3 part cards for each life cycle. 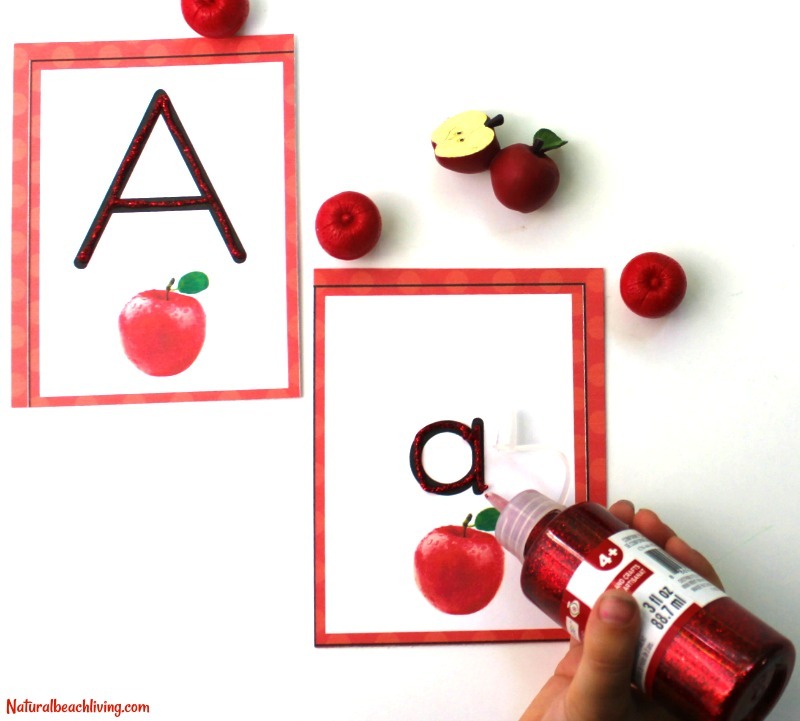 These cards are perfect for word recognition. 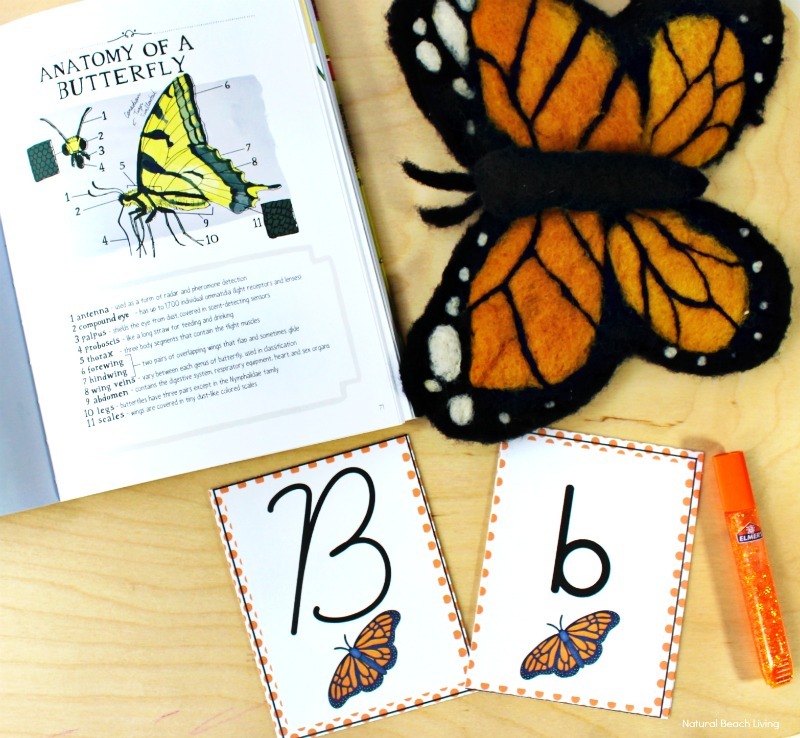 Save time and make the most of teaching life cycles with these easy-to-use and ready-to-go lifecycle activities and printables.